Are the accessories suitable for all EPDM systems? 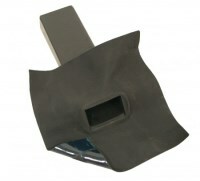 Accessories are available for both EPDM roof and DPC systems. As well as rainwater outlets, corners, roof drains, etc. for the hertalan easy cover system, the same range is also available for hertalan easy weld with a green EW strip applied to the edge of the accessory.